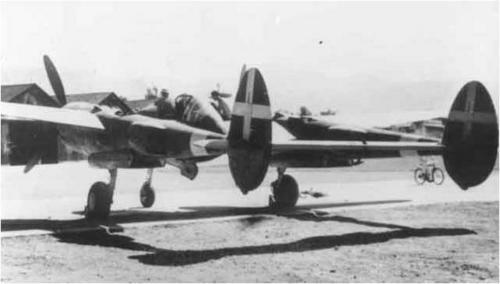 P-38G (transformed E version ) captured by the Italians at Capoterra, Sardinia. Regia Aeronautica chief test pilot Lt .Col. 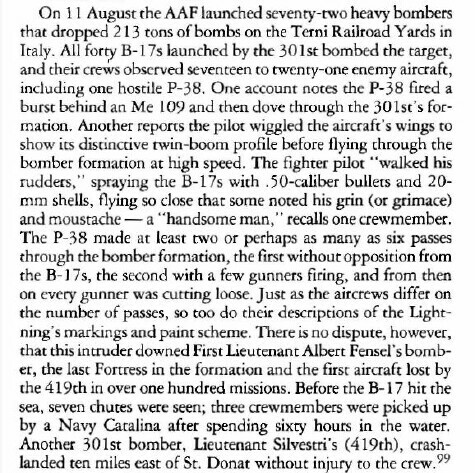 Angelo Tondi claimed to have downed one B-24 and one B-17 (Bonnie Sue) using this plane .